The High Performance Coach Training Programme can be studied as 8 day course studied over two blocks of 4 days (Modules 1 and 2) or blended learning, class room and distance learning. Upon successfully meeting course requirements certification includes three certificates, an Approved certificate from ILM, the IANLPC and NLP Centre of Excellence. This course is approved and by ILM, ensuring your course meets the highest standards possible. 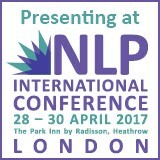 The course is also certified through the IANLPC - International Association of NLP Coaches. The High Performance Coach Course teaches you powerful skills that can be used to help yourself excel in every area of your life. Help others make changes and overcome barriers to their personal development, and help people realize their full potential in business, sport and their personal life. Developed an excellent knowledge and understanding of the behaviours, characteristics, skills, attitudes and values required of a high performance coach and/or mentor. Developed effective listening, questioning and feedback skills. Picked up a range of coaching tools and techniques. Understood the personal and organisational barriers to coaching and mentoring and how these can be minimised or overcome. Learn how to model excellence from others that have excelled in their chosen field. Through out the course you will have the chance to model several different influential people and learn the mental strategies that these people use to be the best at what they do. During this module you will learn the powerful processes that founders John Grinder and Richa rd Bandler used when they began their modelling work, and you will learn how to transfer these powerful modelling skills to your everyday life. What is our style of teaching on the course? During the formal training we touch on some theory, and updating you with any recent techniques. You therefore spend much of the classroom time on practical exercises, "actually getting it in the muscle". The trainers and the coaching assistants will be there to give you feedback and support to heighten your proficiency. We have specially designed the certification process so that you leave the course knowing you have a solid foundation and understanding of High Performance Coaching. 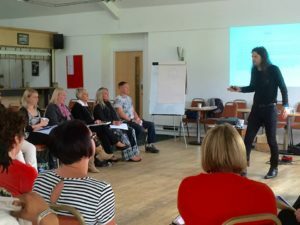 And can apply your skills in practise as a coach or to compliment your existing field of work with the knowledge that your Certificate counts and is approved by ILM and is recognised by the International Association of NLP and Coaching, which governs the highest standards of learning and is recognised worldwide. On completion of the course you will receive 3 certificates, one from the NLP Centre of Excellence for completing the course and another optional approved certificate from ILM - Institute of Leadership & Management and the IANLPC. There is a £50 ILM Certification Fee that gets paid directly to them on completion of the course if you want to get the ILM Certificate (which is optional). This course is also available online or blended learning. Our online courses materials are delivered direct to your email inbox. Our online courses are exactly the same as the classroom version, but include a range of supporting study material, u stream http://www.ustream.tv/recorded/47853611 and class room tutorials.